Size: approx. 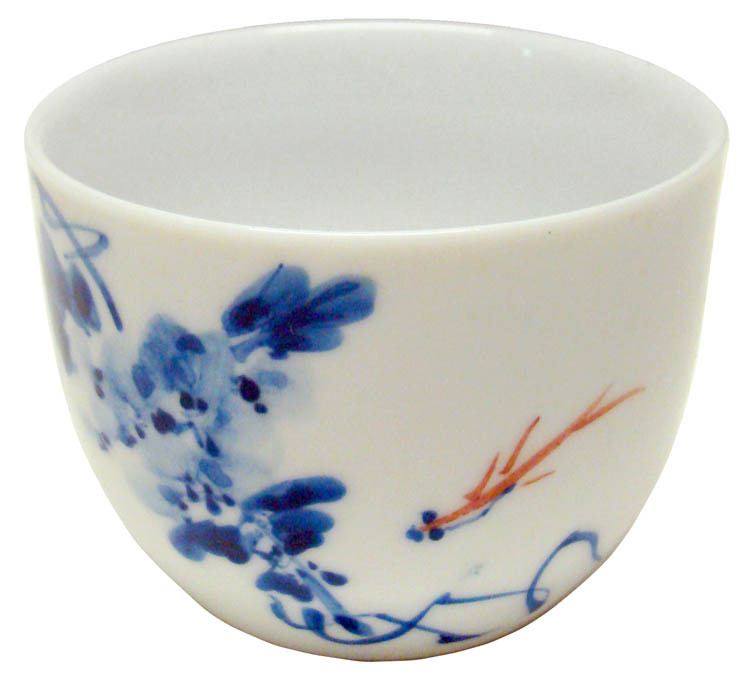 2.5" x 2.5" x 2"
This unique Chinese porcelain tea cup is decorated with traditional Chinese fish and flower design. In the Chinese culture, the fish symbolizes prosperity and wealth. This small porcelain cup is for tasting premium Chinese "Gongfu" tea. 100% hand painted Chinese porcelain tea cup.